Eleven years after the release of their fifth album 'Rock Steady', No Doubt last week dropped their latest single, which spread across the Internet like wildfire. As many YouTube comments have noted, Stefani (now aged 42 and still looking hot) has physically changed little over the last decade. Thankfully, neither has the music. This is still the same quirky ska-pop we've come to expect from the band, rather than the (still enjoyable) hip-hop leanings of Stefani's solo work. That said, this is less rock heavy than the band's previous work and Stefani's pop image is as potent as ever. Combined with the ska is a strong Asian influence (especially in the middle eight), making for a track that's as colourful and summery as the accompanying video. 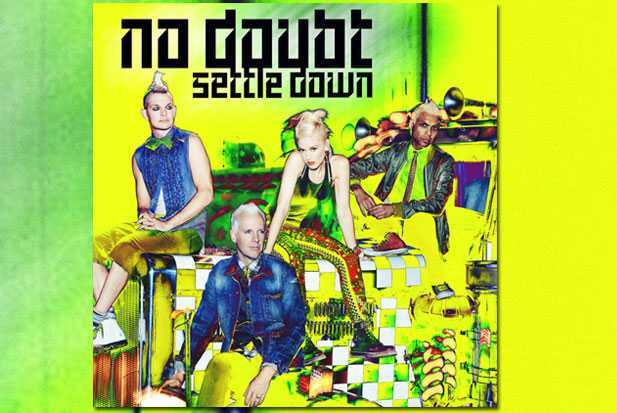 Whilst a grower, it's not as catchy as some of No Doubt's previous work and it does slip into modernism at the end with the hip-hop beat and synth bass combo. Still, Settle Down paves the way for the release of 'Push and Shove' later this year. It's good to have you back guys. Listen: Settle Down is available now; 'Push and Shove' is released on September 25th.